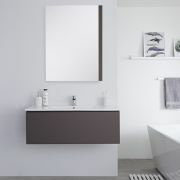 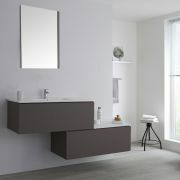 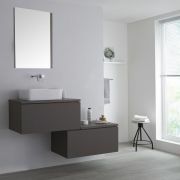 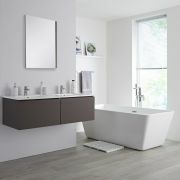 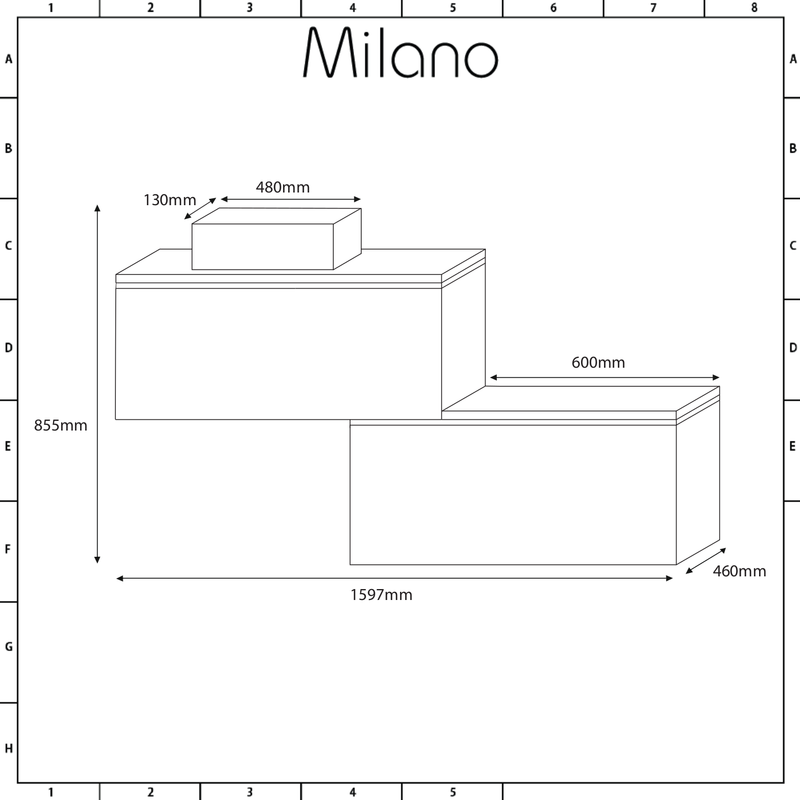 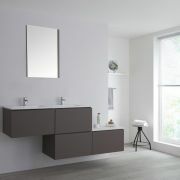 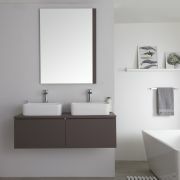 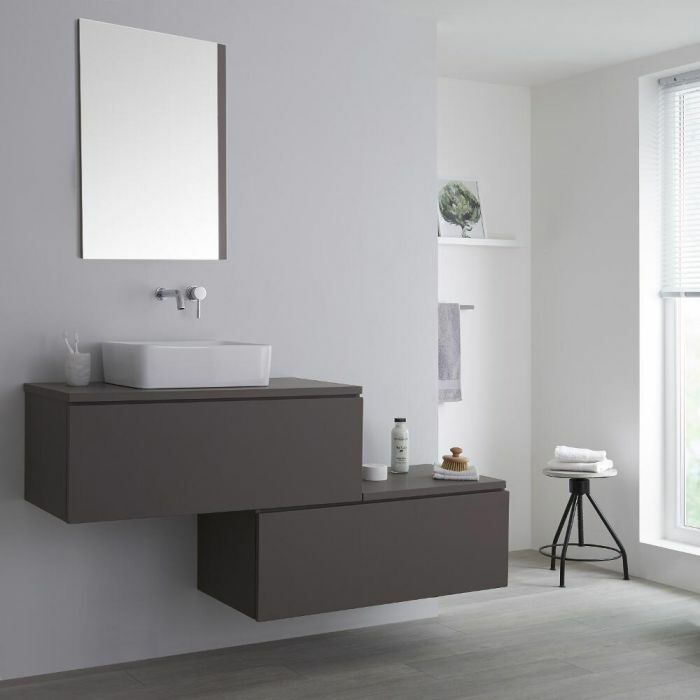 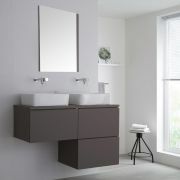 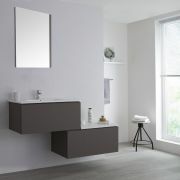 Give your bathroom a stylish upgrade with the wall-mounted Milano Oxley 1600mm stepped vanity unit and basin. 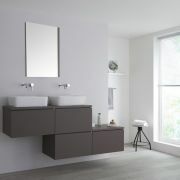 Made from strong moisture resistant engineered wood to ensure long-lasting durability, the Oxley vanity unit boasts a contemporary matt grey finish to make an eye-catching statement in your bathroom. 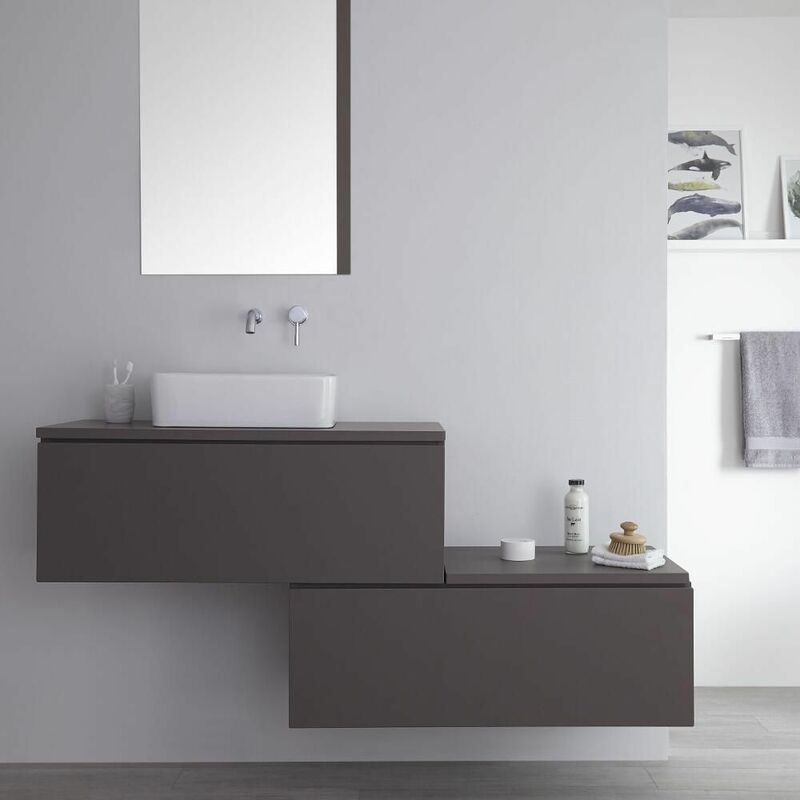 Practicality is a key feature and is addressed by providing discreet storage with two large push to open soft close drawers as well as a countertop to enable you to keep your bathroom essentials within reach. 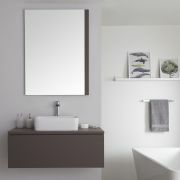 The look is completed with a sleek rectangular countertop basin made from high quality ceramic and finished with a shiny white glaze to ensure easy cleaning. 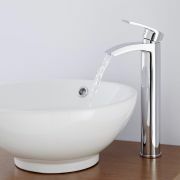 The finishing touches to the basin can be added by you when you choose a wall-mounted or high-rise tap from our range.